Beauty marketing is a blood sport. It's never enough to sell something that works—it's got to be the latest, greatest, most innovative skin solution that NASA's top scientists were conned into making because people like to spend more money on lotion then they do on intergalactic space travel. But nine times out of 10, all you really need is something that works. When it comes to many skin frustrations (from acne to aging), retinoids are that thing. A chemical compound related to vitamin A, retinoids have been a major player in the skincare world since the 1950s, when tretinoin first hit the market. Initially it was used to treat acne, but as retinoid-users began to age–and age very well—doctors realized the drug could treat visible signs of aging as well. Basically, it's the best two-for-one on the market and if you're not at least familiar with it, you should be. Here are some FAQs to get you barreling down the path to retinoid conversion. As always, the comments will be more enlightening than this post could ever be, but that's our cross to bear, not yours. Anyway! Obviously, it is a vitamin. 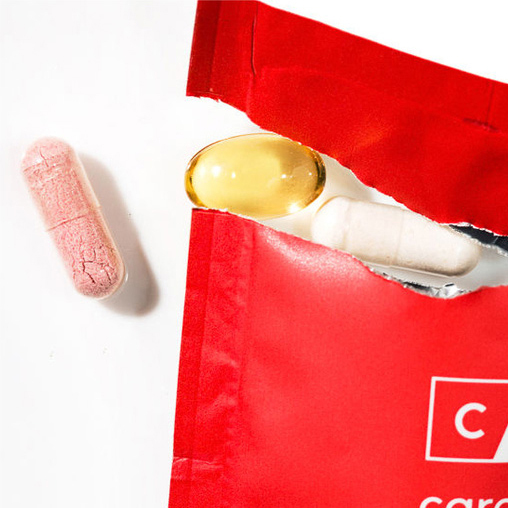 Less obviously, it's a vitamin that helps cells reproduce normally. It's a particularly important player in having good vision, a strong immune system, and healthy bones and babies. It can come from two places—retinoids (from animal sources) and carotenoids (from plants). This is a story about retinoids, so let's dig into that. Why do I need any form of vitamin A on my skin? When applied to skin, retinoids (see, we're getting more specific here) encourage cells to turn over rapidly. This means that the cells die, slough off, and leave room for the beautiful new skin below. It also means that the collagen that those cells create can be newly stimulated. The results are almost too good: With regular use, retinoids promise to improve skin texture, wrinkles, sun damage, visibly enlarged pores, acne, and blackheads. Science can't prove that retinoids will make you a more likeable person, but doesn't hurt to try for that, too. I've heard of retinoids and retinols—any difference? Slightly! It's a "square is a rectangle but a rectangle isn't a square" type of thing. Retinoids is the general term, as mentioned above. Retinols are a subset of retinoids. But colloquially speaking, say retinoids when you're referring to a prescription-strength topical like tretinoin (Retin-A), tazarotene (Tazorac), or adapalene (Rx-strength Differin). Retinol, on the other hand, can be found in anything over the counter. As you can imagine, these products aren't quite as strong as their retinoid brethren. Pretty simply. If you're struggling with consistently frustrating acne or are seeking more aggressive measures to lessen the appearance of sun spots or wrinkles, it might be worth talking to your dermatologist about getting a prescription. But, if you're not regularly seeing a doctor about your skin and still want to improve the surface of your face, a lesser dose is probably all you need to get cracking. Probably not! If you're worried, start slow by applying once every few days, only at night. But overall, the side effects (particularly of OTC products) are relatively minor: some redness and dryness that could lead to surface-level peeling. Maybe you've heard of it referred to as the 'retinol uglies'? Well, you're not ugly; you're beautiful. And even if you do run into any of these maladies when starting down Retinoid Road, they tend to pass within a couple of weeks. One thing that is important to note: Retinoids, like any chemical exfoliant, will make you sun-sensitive. If you start using a retinoid, you MUST also start using a sunscreen or block. Actually, scratch that. If you're not using sun protection, retinoid or no, you must start immediately. This is an order. Also, talk to a doctor if you're pregnant. Just generally, but also if you're using retinoids. Where in my routine does a retinoid fit? Depends on the product you're using. If you're a prescription-strength user, make sure that it's the first layer on your skin after cleansing. Otherwise, follow the instructions on your OTC bottle. Retinols come in all forms—serums, oils, moisturizers—so let the medium dictate the message. Actually, this one is first for a reason. There is not a single woman you admire who doesn't use this stuff. Let's tick them off the list: January Jones, Emily Ratajkowski, Kelly Rowland, Chrissy Teigen, Jessica Alba, Fajer Fahad... Facialist Shani Darden is a verified skin goddess, do what she says. Use this gel cream and look like Hollywood royalty. Emily Ferber's favorite of the bunch, this all-natural version is gentle enough for the most sensitive of skin wimps. It's also packed with vitamin C, so it'll quickly be the only thing you keep around for glowing skin. Formerly a prescription-only solution, Differin just went mass. You can pick it up at any drugstore for $10. 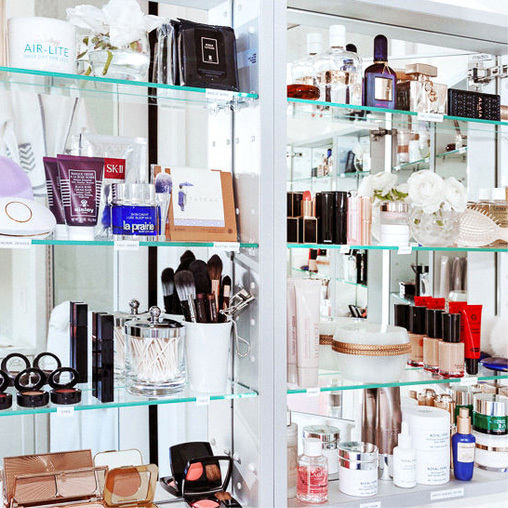 Nina Blass, Glossier's marketing manager, swears that if you use it "every single day for a month it does make a DIFFERINce." Her pun, not ours. If you do happen to be one of those innovation-lovers, Verso is the brand for you. Every single one of their products boasts their own proprietary version of retinol. This is also the only facial oil that exists with retinol in it. If you're on the dryer side, look into this one. Christine Chin is a facialist in New York's Lower East Side who boasts rather aggressive methods to coax problematic skin into crystal clear shape. Her retinol isn't as intense as her extractions, but they both work! And that's all that really matters. Got questions about hyaluronic acid? Vitamin C? We can help decode those.